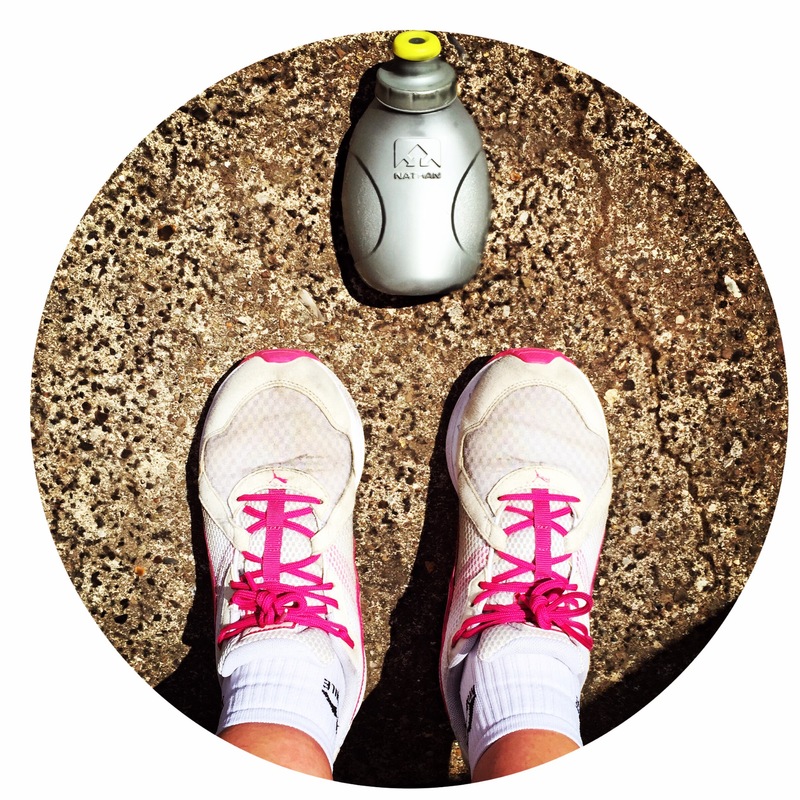 My health & fitness journey…the story so far! 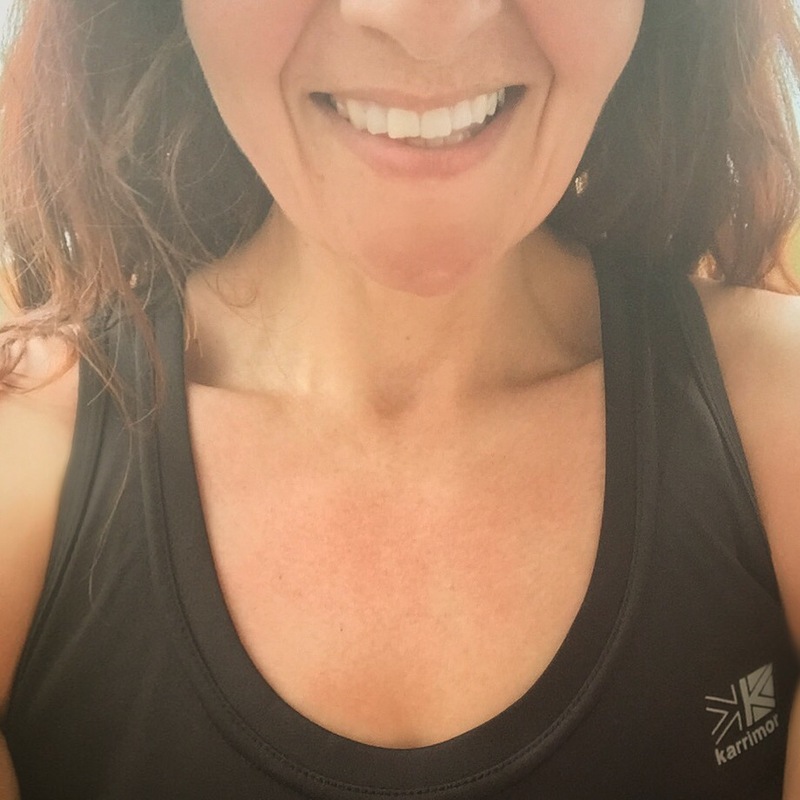 I’m just back from a 5k run and its time for a bit on my health and fitness progress I think… My change started about 4 years ago – going from a size 20/22 to UK 12. Now, I am by no means a preacher for how you should live your life but for me being fat was like being imprisoned in my own body. I hated myself, felt terrible, was a slave to panic attacks and suffered various aches and pains. I had a family history of heart attacks and looking back I was a ticking time bomb. You would never of know this though as I was always perfectly presented, with the nicest clothes, make-up etc and seemed bubbly and confident. The history: my weight has always been an issue. I remember being on my first diet at about 11 years old and my issues with food carried on from there. My 16 I was about 11st ish and at a super bitchy girls school where I developed Bulima and via that, crash dieting and an old exercise bike got down to 9st 12lb by the time I returned to 6th Form that September. Of course I couldnt maintain that weight and I quickly put weight back on. 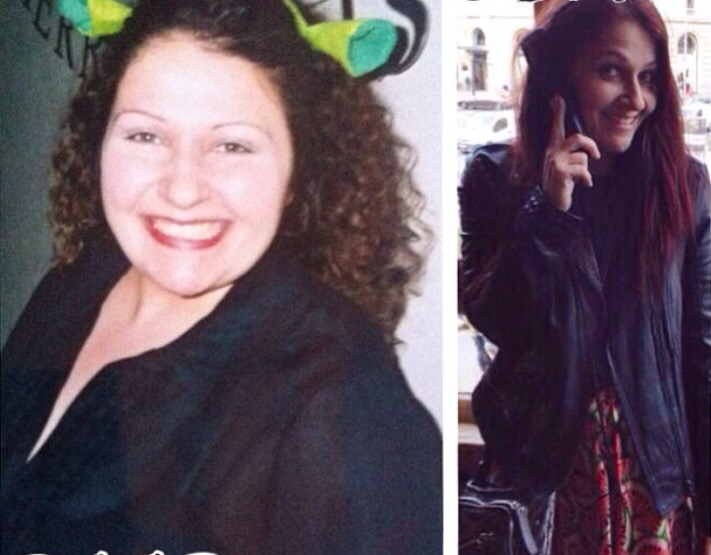 During the early 90s working at Harrods, partying hard and enjoying the rave scene (plus a summer working in Greece) I slowly lost some weight and was around 12st 7lb on my return to the UK – ironically this weight became my dream weight throughout my 30s that I desperately wanted to get to. I was 13st 11lb on my wedding day – I felt great but in reality I was still a size 16/18 – my wedding dress was a size 20. I told myself it was ‘couture bridal sizes’ but the fact was I was still fat. Diets came and went, losing and putting on the same 3 stone. 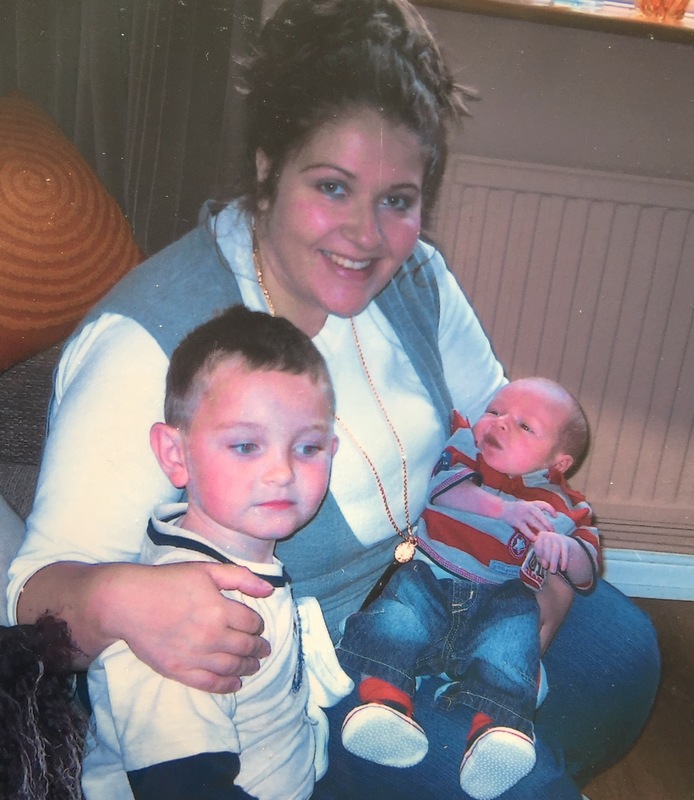 After the birth of my son I was at my heaviest – 16st 13lb and in desperation went liquid only for 100 days on the LighterLife plan. I lost 50lb but also felt terrible, my hair fell out and my blood pressure got so low even my doctor looked worried…and the minute I went back to normal eating my weight started going up again. I stayed big for a few years totally in denial telling myself I was big boned with a poor metalobism and that people should just accept me for who I was. I did no exercise, binge ate, had no portion control and suffered terrible anxiety. In 2010 my best friend announced she was getting married and I decided to try and lose weight again as she had asked me to be a witness. 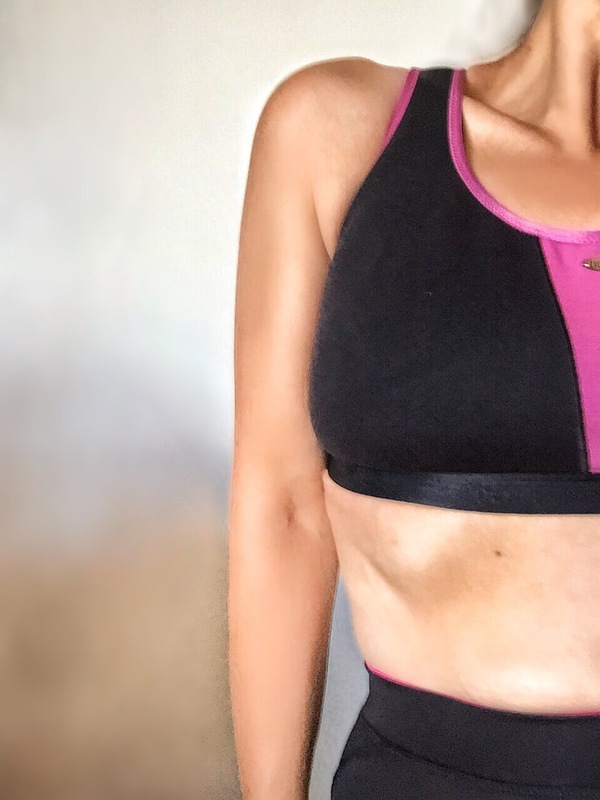 This time something felt different, I felt different – I was in my late 30s and so tired of being fat, feeling old and ill, being scared for my health (my father died aged just 52 of a heart attack). I joined WeightWatchers and over a year or so slowly lost weight, started walking as much as I could and going to the gym doing Vibroplate to tone up. This coincided with some big life changes and I stopped attending group and just kept up the dieting at home using the MyFitnessPal app to track my food and find support. By 2012 I was 11st 11lb and well below my ‘dream weight’ from that summer in Greece, a comfortable size 12/14 and for a while that seemed perfect. But something niggled me…I knew I could do better. In 2013 I decided I would try one last push to see if I could lose another stone and started running using the C25k app. 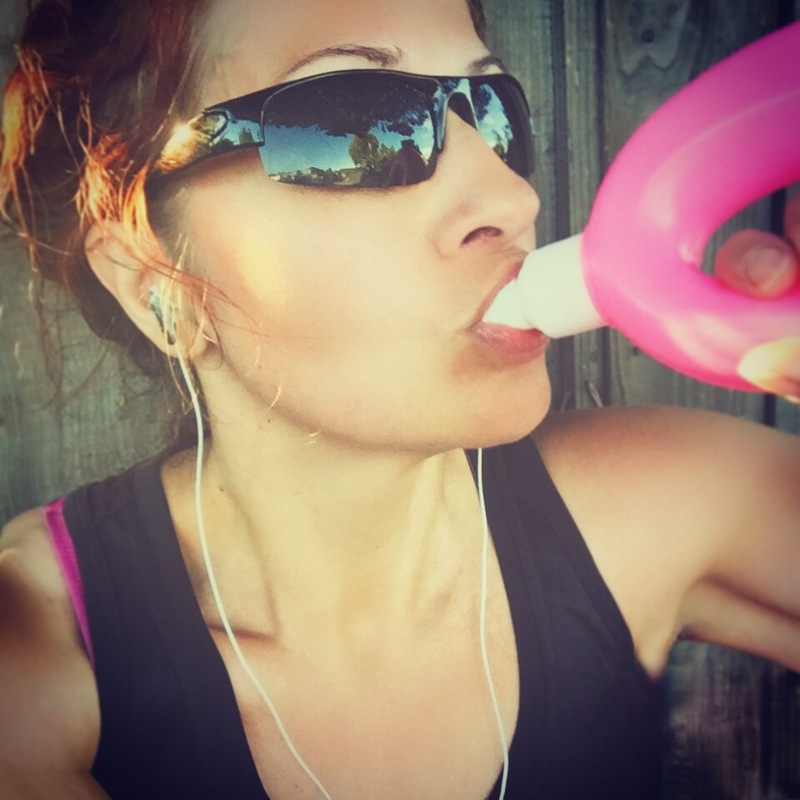 I was petrified of high impact exercise – it took me a year or so to run 5k without stopping but I run 3 times a week every week running on holidays and even on Boxing Day! Its been hard. Very hard. And I haven’t got to that illusive goal weight. Who knows, but for now the pain required outweighs the benefits…the body I have at 42 is not going to be the one I had at 16! I’m still technically very slightly overweight but I’m ok with that – I am so proud of the body (and new person) I have created. The saddest part as I write this is I remember every weight, at every point in my life. That’s how I judge myself. Thats how I remember things. I realise now I am more than a weight, that I have beaten my demons and found a way to change my lifestyle forever. Its not easy but its so worth it. 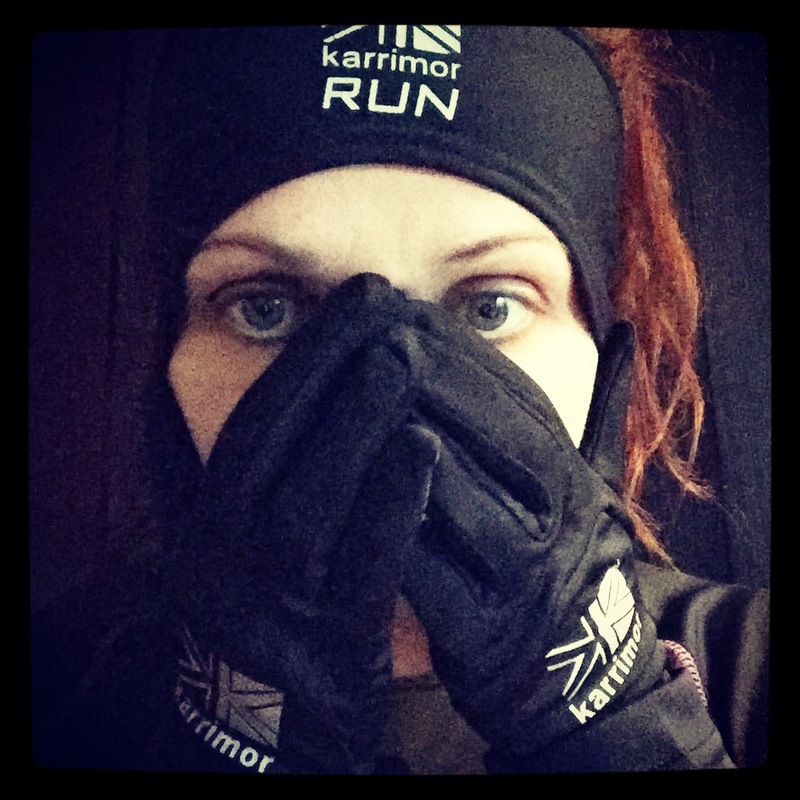 …or cold….with no excuses. And I watch what I eat. Simple really. Change is a very frightening thing for me. The pain of exercise & not eating what I want is tough but the rewards are better. Its hard to not obsess over every lb but weight is not the perfect measure of success. Free apps and having the right kit can really help a fitness/weight loss journey – and they dont need a lot of money spent on them. Mental heath and physical fitness are irretrievably linked. Wellness is everything. Not giving into my food addictions is a non stop battle on par with alcoholism or drug addiction. Find an eating plan that works for you. If you want fatty processed food once in a while (oh hello, Dominoes) then have it, enjoy it, but remember you’ll have to work harder the next day to balance it out. I eat a small chocolate bar most days but I make sure I keep my other portions small and within my calorie allowance. I realised early on that if I tried to live off of lettuce and juices I was just going to get depressed. Vanity often drives weightloss (it did mine) but feeling healthy, strong and powerful is the best feeling in the world. I’m realistic that having to stick to this for the rest of my life will be tough but I could never bear to go back to the old version of me. 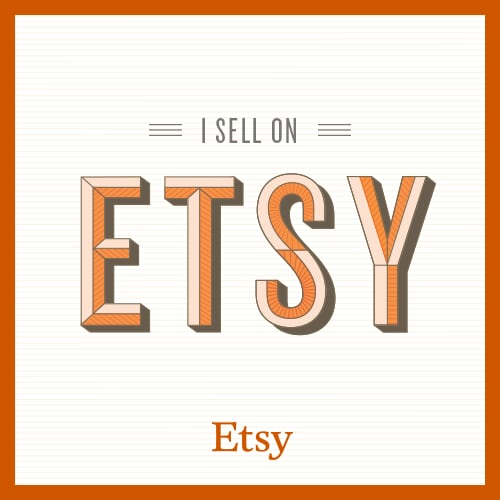 …but I’m winning my own personal battle. I’m not totally happy with myself (who is?) 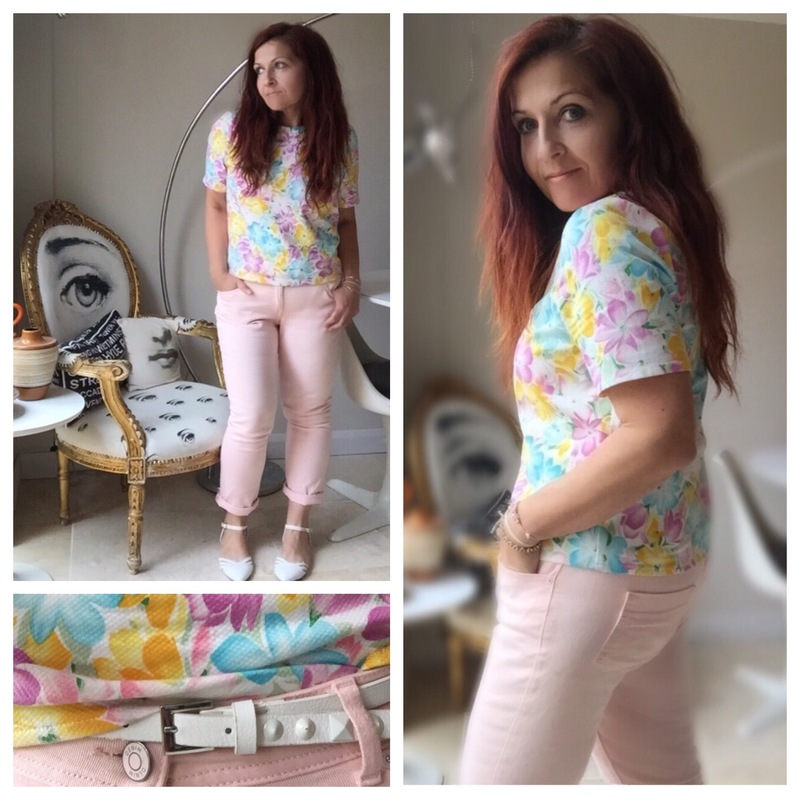 but I’m very proud of the changes I’ve made – not bad for a 5’2″ 42 year old mum who used to be a size 20/22! 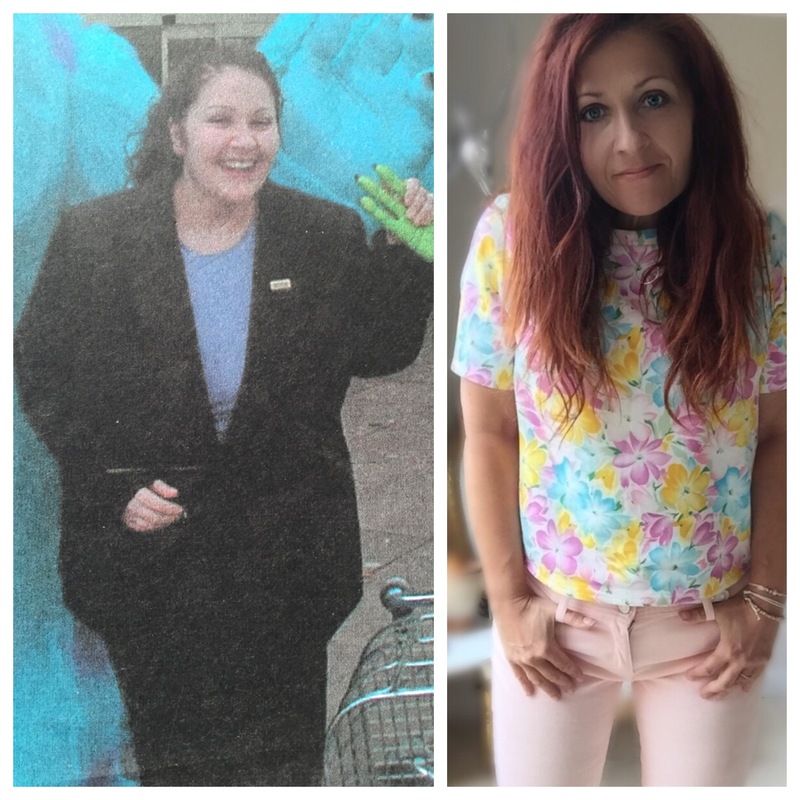 No-one can or should tell you how to be or look, but for me being ‘normal weight’ has improved my life no end as my addictions had made me ill both mentally and physically. Good health is everything and I aim to hang on to mine as long as I can.